When you call Great Panes Window Cleaning for service, you can be sure of receiving the most proficient and comprehensive window cleaning anywhere in the Coastal Empire and Lowcountry. 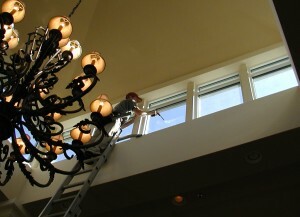 We specialize in high-end residential and custom window cleaning. This means we regularly handle large custom homes with extensive architectural design, including difficult to reach windows, challenging skylights, large mirrors, high-vaulted ceiling fans and the like. There are many advantages when you use a uniquely qualified service such as ours. When talking about the largest investment many of us will ever make, those advantages include your Window Cleaner using professional tools and supplies, the ability to clean with pure water, taking care when cleaning screens, dealing with hard water stains and cleaning your prized chandeliers and light fixtures safely. All of this enables you to choose the right service that can recommend the best frequency for your window cleaning at a great price. Over the past fourteen years, we have cleaned homes of all shapes and sizes. Mobile homes, suburban tract homes, 100+ year-old farmhouses, 200+ year-old historic district homes, homes on the water, homes in the woods, homes in the middle of fields, and homes in gated communities. After cleaning the windows of thousands of different homes over the years, our feeling remains, “whatever your view is, you paid for it, you ought to be able to enjoy it,” and we can help you with that! 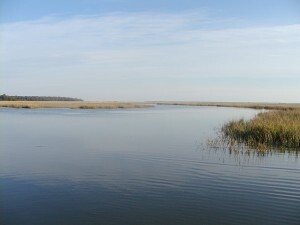 After all, aren’t these the views you had in mind when you chose your property? I kinda thought so! Thank you for choosing Great Panes & Under Pressure! Our soap of choice is a product called Glass Gleam 4 from Titan Laboratories. I know many window cleaners use dish soap on a daily basis. My own feeling is this – dish soap is for dishes. Dish soap is intended to wash opaque dishware rinsed in hot water, with a reflective film left behind to give a shiny surface on the dish. This is good for plates, not so much for window glass, and, while suds in the sink are fine, they will cause streaks and haze on transparent glass. This film builds up so much over time that eventually scraping with a razor blade is necessary to remove it all. Also, when dish soap is used to clean exterior glass, the resulting film causes dust, dirt, debris and, you’ve probably seen this, pollen in the spring, to stick to the glass leaving a window that needs cleaning again sooner than it normally ought to. Our scrubber sleeves are exclusively of micro-fiber construction to enhance their ability to pick up and absorb the dirt and debris from the glass rather than just push it around, and we use the finest squeegees, poles and ladders available. Of course, our tools also include various scrapers, solvents and absorbents to adequately handle the most stubborn or challenging of situations. It is always best that our initial service at your home is inside and out. We will clean the outside only on an initial cleaning if you request it, but it is not recommended. There are many reasons for this, however, the simplest is probably that we would have a difficult time expecting your total satisfaction if we only clean half the window! We want you to know that you have received the greatest value possible from your window cleaning service. We will never wear shoes inside your home, and we will with the utmost care move and put back the things that impede our access to the window. We will respect your private space, and move as swiftly as is safely possible so as to minimize the intrusion in your home. Your comfort while we are in your home is paramount. Our goal is that at the end of the day, the only way you will know we were there is that the inside of your home will seem much brighter and you’re no longer sure if there is glass in the window! On the outside, depending on the specific needs of your home and its environment, we will use soap, scrubbers and squeegees, or water-fed poles utilizing deionized pure water, or a combination of the two methods. The use of pure, deionized water and water-fed poles is the most exciting technological advancement in professional window cleaning since the invention of the squeegee. Water from the tap contains many impurities. Whether it is ground minerals picked up along the way, or additives that make it safe for drinking, none of these impurities do your windows any good. This is what causes spotting on windows after they dry and necessitate the use of squeegees. Worse, if the glass is not properly maintained through regular cleaning, these minerals will eventually permanently stain the glass. Deionization completely filters these impurities and allows the glass and window frame to dry completely spot free. 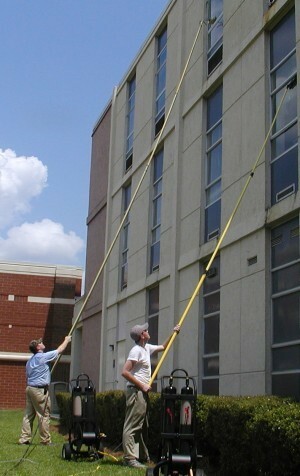 We are the only window cleaning company in coastal Georgia and South Carolina with this system. This system uses 100% pure water (0 parts per million of total dissolved solids), dries without spots or streaks, and no need for soaps, squeegees, ladders or lifts and their attendant dangers. Environmentally, nothing is safer than pure water. Safer work areas: the system allows us access to glass up to 50 feet without the use of ladders or lifts, safer for your property, safer for workmen, safer from the risk of overhead hazards such as dropped tools and the like. Cleaner glass and frames: the system leaves a shine on the glass and frames without the use of chemicals. The pure water “attracts” the dirt and grime and lifts it from almost any surface. Faster results: the system allows for fast results with minimal inconvenience to residents. The technology allows for quicker access and cleans windows faster. You will not believe the results of this technology until you see them for yourself – and then you will be amazed! Contact us for a demonstration, or for further questions. As you can see, gone are the days when you can call up your neighborhood “window guy” to clean the windows. Unfortunately, for some home and building owners, they still have in their mind; ” A window is a window; how hard can it be to clean them?” Window cleaning today is much more then a function of removing dirt and grime from a glass surface. Those who don’t learn this fact, inevitably find out the hard way. Today, with manufacturing advances in insulated glass, various glass coatings and tempering processes, together with innovation in the architectural design uses of glass, window cleaning has become much more sophisticated and can no longer be taken for granted. The risk of hiring an inadequately prepared or inexperienced window cleaner is one that should not be taken lightly. The amount of technical knowledge of structures and materials, together with a comprehensive worker safety program have become an utmost importance when selecting a window cleaner. A labyrinth of new procedures, skill requirements and liability issues have continued to develop along with the new advancements in the window cleaning industry. Your home or building represents a huge investment that makes it essential to choose a window cleaning contractor that can effectively and fully deliver a viable plan for the maintenance of that investment. Cleaning the screens at your home are part of the price we quote you. This is done automatically without extra charge. Each screen is removed and cleaned individually with a gentle, soapy bristle brush scrubbing and thorough rinsing. The screen is then dried and replaced after the windows have been finished. If you like, we will happy to store them for you in your garage, attic or outbuilding at your request at no charge. Sprinkler Stain: This stain. is caused by a sprinkler system placed to close to the glass. The spray is directed in such a way that it hits the glass on a- regular basis. These stains can also be developed from winds that blow the water on the glass over a period of time. Calcium, salts or magnesium. from the local water system cause most sprinkler stains. Condensation Stain: This stain is caused by water collecting under the first few inches of a window frame along the top. The sun does not evaporate the morning dew and over time this can cause a stain. Building Run-off Stain: The minerals present in building materials such as limestone, Portland cement, brick or other materials leaching on to the glass surface after rains cause this stain. Chemical Stain: This stain is caused by chemical residue from certain cleaning solutions left to dry on the surface or reaction from the chemical upon application. Insufficient rinsing from power washing is notorious for leaving this type of stain which appears as a haze over the majority of the glass surface. Screen Burn: Some windows have what is known as “screen burn” which can appear as anything from small water spots to a heavy gray or rust-colored haze on the outside of the glass. This occurs as a result of rain water passing through the screen and depositing oxidized metal onto the glass. These deposits do not wash or scrape off, and a special treatment must be used to restore the glass to its original shine. The lack of a regular maintenance program allows minerals and chemicals to etch or build up on the glass surface and if left untreated will cause permanent damage. The cost of removal can be substantial, although it is much less than the cost of replacement. Many times it is not possible to discover the full extent of damage or determine the price of removal until a Standard Cleaning is performed and viewed by the customer and window cleaning contractor. We will inspect the project with the client to confirm the stains and perform tests in areas agreed upon by the client to determine to what extent it can be removed. The cost of the testing is free. Other than fabricating debris on tempered glass, no subject is more controversial than mineral stains on glass. Many buildings have a mineral stain problem which is kept to a minimum by having the windows washed on a regular schedule. Windows stain because the surface of glass contains micropores, in which tiny drops of water containing dissolved minerals can lodge. Hard water spots are created when water is not immediately removed from glass. As the water dries, mineral deposits are left and in time they build up and discolor the window leaving them white and spotted. Mineral deposits are also found on buildings that have pre-cast concrete panels above any glass. Rainwater is absorbed into the pre-cast panels then the water runs down on the windows and leaves deposits of calcium and other minerals. There are various methods for removing mineral deposits, our process is lengthy but very safe and effective. Mineral deposits are removed with fine rubbing pads and different rubbing compounds. Upon removing mineral deposits, a sealer can be applied to the windows to minimize the re-occurrence of water spots — the sealer must be monitored and periodically re-applied. Our window cleaning technicians are highly experienced in removing mineral deposits. Chandeliers make a striking statement, brilliantly reflecting slices of light off of the prisms and crystals lending an air of beauty to everything that light touches. Unfortunately, they don’t receive regular dusting due to their inherent inaccessibility, and before you know it, end up looking dingy from the layer of dust they’ve collected over the few years or so. We clean all chandeliers by hand, with micro-fiber towels and deionized water, ensuring the absolute of cleanliness and safety for this prized accent of your home. Chandeliers should be cleaned once per year to keep them sparkling bright! Enjoy the convenience and beauty of clean windows all year by choosing a regular maintenance schedule that’s right for you. There are several cleaning frequencies available to you at discounted rates. Your service can be changed at anytime; there is no contract to sign! 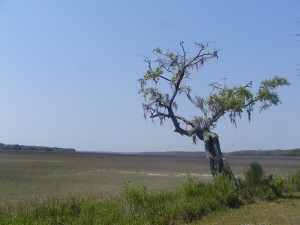 MONTHLY: Homes near dirt roads, wooded lots, near the beach and construction sites require this outside only regular service. A must for high maintenance areas and meticulous home owners, this regular service keeps windows always looking their best. BI-MONTHLY: The most popular choice, outside only every other month service is perfect for all homes, especially those near high traffic roadways, on the marsh or wooded lots. This routine is great for those who prefer attention to detail or if you do a lot of entertaining. QUARTERLY: This outside only service keeps your home looking fresh and bright every season of the year, or inside and out service if children and/or pets also live at your home. Your outdoor views are kept clear while preventing dirt buildup on your windows, and we’ll keep the inside cleaned up after little hands and wet noses. This is ideal for established neighborhoods where all new construction and landscaping have been completed. SEASONAL: Service at the beginning of spring, in mid-summer and right before the holidays gives an extra shine to your home at significant times of the year. Inside and out or outside only service will ensure that there is one less thing to worry about while managing your busy household! SPRING / FALL: Twice a year service is necessary to maintain the overall appearance of your home. This inside and out bi-annual routine is essential for any home, preserving and protecting your windows from unwanted buildup of contaminates which left unchecked can potentially stain the glass and its surrounding woodwork. ANNUAL: Once a year, schedule pressure washing for your home in conjunction with the windows being cleaned. This gives the entire house a fresh, sparkling and inviting feel and is a necessary routine maintenance for the siding of your home. Yet another advantage to regular service is that we can save you money on your cleaning, too! The more often we clean your windows, generally the less hard scrubbing we need to do, so we are happy to pass that savings right back to you in the form of price discounts. We do have an annual 5% rate increase across the board in order to continue to attract the best people possible to perform service at your home, but it doesn’t mean you have to pay that. You will receive a 5% discount off of your base cleaning price for each step up in frequency and an additional 5% off if you schedule your next service at the time of your last one! This is better explained by the table below. This discount applies regardless of whether we clean inside and out or outside only or any combination of the two, and also applies to gutter cleaning and pressure washing! This is a terrific opportunity for significant savings on the necessities of keeping your home clean and attractive! By having a courteous, conscientious professional take care of this chore for you on a regular basis, you’ll have a year-round sparkle, and be the pride of your neighborhood. If you want a window cleaning you’ll be happy with, one where you‘ll refer us to your friends and neighbors, then please contact us. We stay booked up, so it’s best to call early. We are fully insured and carry workman’s compensation. We offer FREE Estimates. For residential customers – no one needs to be home. We always remember the point of this entire exercise is to be a convenience to you. And we’re always thankful for the opportunity to make your home a little brighter place to be.